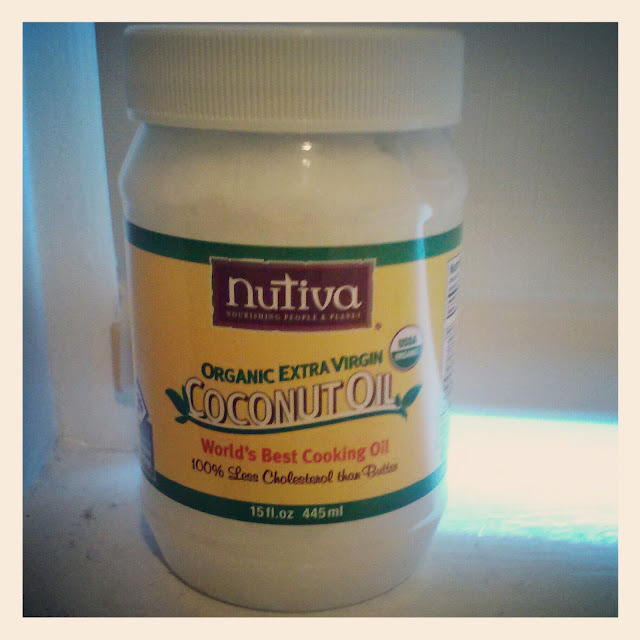 Has anyone else noticed the buzz surrounding coconut oil recently? 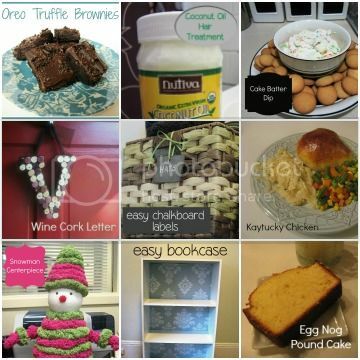 If you just type coconut oil in Pinterest’s search box, you’ll see hundreds of pins with all different uses and benefits of using coconut oil. Last week I pinned this from How Does She?. The caption of the pin promised that using coconut oil helps grow your hair longer and healthier. Then I started to see this pin all over the place as well. It promised the same thing. My hair is severely damaged. I've been straightening it almost every day for the last 10 years. I know, I know – it’s terrible for my hair. My hair dresser has been reprimanding me for years. To make it even worse, over the summer I somehow burnt off a ring of hair around the crown of my head. It’s not totally noticeable but I see it every time I look in the mirror. So, when I saw these pins I just knew I had to try them out. 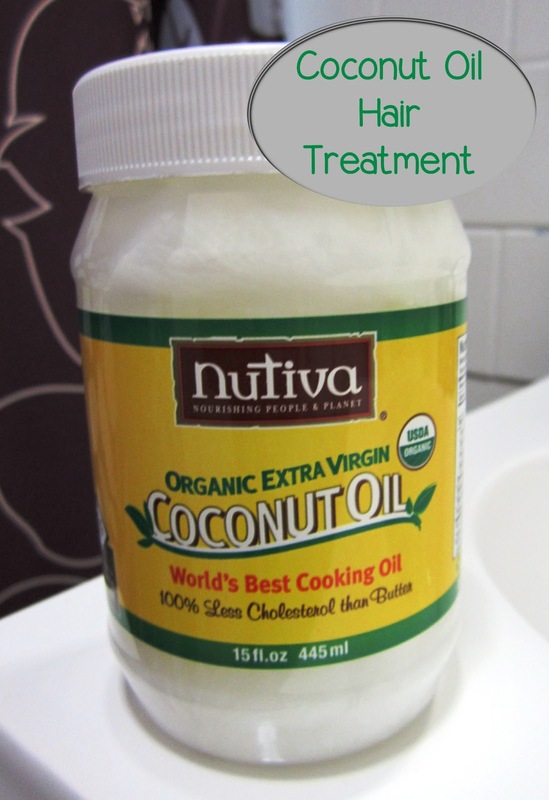 How Does She recommended using Nutiva’s Organic Extra Virgin Coconut Oil. I was able to find some at GNC for $15 a jar. It was buy one, get one half off – so of course I bought two. Sales people can talk me into anything! I gave the treatment a go on this past Sunday afternoon. I started by flipping my hair over and spread the coconut oil in my dry hair. The coconut oil is solid in the jar but once you scoop the it out, it starts to melt in your hands- making it easier to put it in your hair. I focused mostly on the ends of my hair. I ended up putting some more oil in after these pictures were taken. The goal is to saturate your hair in the oil. I barely used much of the coconut oil - the two jars are going to last me a long time. 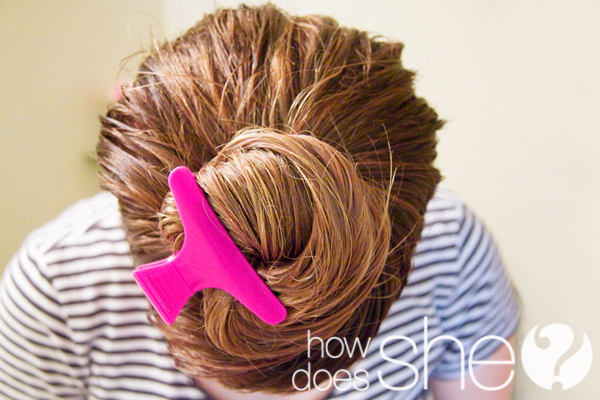 Once your hair is saturated in the oil, pull your hair back in a clip and cover it with a shower cap. I left the shower cap on for about 45 minutes. Then I hopped in the shower to rinse it out. I shampooed twice and then conditioned. Here is a [terrible] finished shot. This is after just blow drying. My hair felt so soft! I didn't notice any improvement with my split ends that some websites promised but my hair was definitely less frizzy. I didn’t even need to straighten! Granted -I’m due for a hair cut. I have one scheduled for Wednesday evening. So that explains the terrible split ends. I'm thinking that if I keep using the coconut oil after my hair cut, it may help to prolong how long I can go before the next hair cut. Many of the sites said the coconut oil will help your hair grow longer if you use it over time so I’m going to keep using it. I also saw somewhere that coconut oil is supposedly good for dandruff and psoriasis. I have psoriasis on my scalp which unfortunately causes me to occasionally have dandruff. I didn't notice any difference in the dryness on my scalp with this first use - maybe I’ll see a difference after a few applications? We shall see. Stay tuned for a few more posts on coconut oil. Tonight, I am going to try and leave it in my hair overnight and see how that goes. I also want to try using it as a skin moisturizer. I’ll keep you posted of course. On an entirely separate note- Grace created us an instagram specifically for the blog. Our username is pinstersisters. Check it out! We post pictures as we test pins so you can get a sneak peak on upcoming content! Update: If you like this post, check out my coconut oil update! Coconut oil is also my partner in reducing my split ends. Been using this as my natural hair conditioner for more than a year already and it has been so effective for me. I've been loving it so far! Thanks for stopping by!